As the unique guarantor of high quality, "Tradeunique" has completed more than 20 major construction projects, which were realized in the Balkans and throughout Europe. 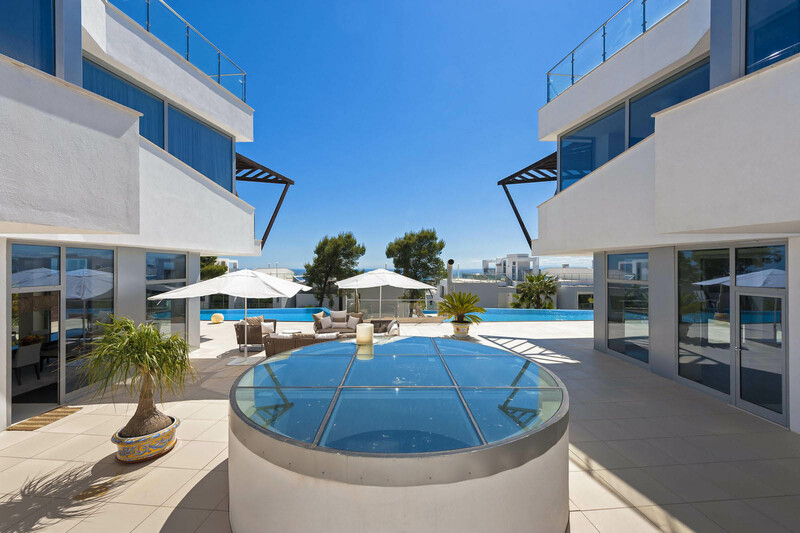 Construction of luxury hotels in Becici and Sochi, commercial and apartment centers in Indjija and Budva, luxurious residential complexes in Marbella and St. Stephen, are only a part of what Tradeunique committed in the last decade, and did it completely with its own money, expertise and in record time, using up-to-date standards. Unerring business instinct made all these projects, after so many years, synonyms for construction ventures, whose level is difficult to achieve. On the one hand, quality, financial security, accuracy, excellent organization, up-to-date construction machines, expertise and professionalism of staff in the best way reflect how Tradeunique approaches to business and, on the other hand, the goals Tradeunique has set ensure that there are a lot of successful projects in front of this company. The company "Tradeunique" was and remains a reliable partner of serious global and regional corporations and companies that fosters distinctive business style – high quality of work, accurate timelines, providing complete services in all phases of design and construction. As a general designer, completely taking over the task of drawing all the main phases of project documentation, architectural and construction solutions; internal installation; technological solutions; special study. Our company performs all phases of design: from concept, through preliminary solutions, project development, working papers, obtaining approvals and positive conclusion of the competent services. We are doing that through quality and professional framework that we have created through years of practice, and together to "go through" all the stages from design to construction and commissioning of the facility into operation. Our team consists of professionals with significant work experience, both in European design and engineering companies, as well as modern construction companies, which allows our company to devote great attention to the characteristics of design and architectural process and respond to any request. As the general contractor of ground works, foundations, through all kinds of installations and interior decorations, to the landscape of the entire area, Tradeunique build facilities according to specific client requirements and on the TURN-KEY system. Office buildings, shopping centers, apartment buildings, hotels, recreation centers, manufacturing and service facilities, apartments and residential complexes and luxurious summer houses. After two decades of successful operations are part of what we have behind us. From the moment we become your partner and the signing of the contract, Tradeunique assumes all responsibility for the success of the project. All those demanding steps, from excavation and construction of the most inaccessible and construction virtually unconquerable terrain, installation settings (mechanical, electro, water supply ...), using the latest material make the applications of international standards, the modern interior outfitting, and the architect and functional design full of outer space, becoming an integral part of the business Corps „Tradeunique“ as a secure partner. In the field of building automation and systems integration, restoration and renovation of buildings that carry cultural Monuments value, Tradeunique dominate the market, while at the same time adhering to the terms and strict management of costs for us are high priority. The company has modern construction operations, construction center and unique operating base in Montenegro (Radanovici, near Budva). Operations encompasses trucks, tractors, tippers, as well as low carrying trailer, dump trucks, mixers, bulldozers, excavators, loaders, cranes, graders, rollers, trucks, crushers and concrete pumps. The base, which extends to a total of 32 .552 squares, has a garage for machinery, open storage (timed) to 7,200 square meters, the main rack warehouse and stable concrete base (capacity 35m3 / h) with concreted baskets and plateau for access of the vehicle. three blocks for workers accommodation - first (1107.8 m2) with 52 rooms with four beds, a total of 208 places, the second (392,8m2) - 16 rooms with four beds - 64 of the third (237.8 m2) prefabricated building with seven rooms with two beds, as well as offices, archives and laundry room. A separate part of the kitchen – dining block, intended for workers, which is located in a prefabricated building area of 363.6 square meters. Within the base there is decorated asphalt communication, grassy areas, parking on 1,280 square meters and a concrete slab for the construction of a new building area of 363.6 m2. There is a boiler for hot water and aggregate of 175 KW and an area of 2.350 square meters of stoare unit for the base. Designers are faced with challenges that bring architectural and construction solutions as opposed to the time and financial limits. Precisely for this reason, since 2005 the company has launched its own production of aluminum and steel constructions. 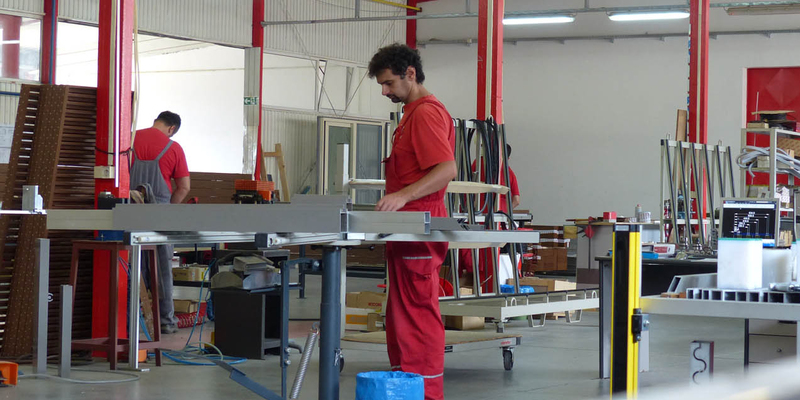 The “Tradeunique production” is specialized in manufacturing aluminum doors and windows, hanging facades, glass walls, the façade of composite materials. The production system includes design, technology, and logistics control subsystem. The work of all sectors is well connected and synchronized, which is achieved optimum production capacity with the imperative quality of the final product, in accordance with the timeframe, and the specifics of the project tasks. Technological system includes production facilities for the production of aluminum, steel construction plant for sheet metal work, stainless steel plant, a plant for the processing of composite materials, as well as processing plant ALUKOBOND. Creativity and commitment of engineers with extensive experience gained from more than a hundred completed projects across Europe resulting in high quality distinctive product. Teamwork contributes to the efficient and safe execution of the works. Knowledge and effective use of materials, manufacturing processes and field capacity allows the timely completion. "Tradeunique Holding” is a powerful construction company, a secure partner in the most demanding projects, an undisputed leader in design and, first of all, a real host, which manages luxury properties and attractive land complexes, from the Adriatic Sea to Russia and Spain. The integrated system of functional facility is the signature that Tradeunique leaves on all projects where it worked as an investor or main contractor. Tradeunique carried out the design, assembly and regulation of technical systems and equipment to the highest standard. We use the latest advances in the sector of design of technical systems, the latest equipment from leading manufacturers of cutting-edge technology.Technical systems that are designed and executed by the company "Tradeunique" provides heating and ventilation of rooms, lighting, telecommunications and fire protection. All this creates comfortable conditions for rest and residence. Safety Data systems are responsible for the security of people, facilities, and for the business that is happening in the facility. Their task is to potential risks in the facility reduce to a minimum. Our facilities have fire protection, intrusion protection video surveillance, access control, evacuation, gas detection. There are also technical systems of the automatic control of the mechanical installations in the building. Facility have air conditioning systems, heating, cooling and ventilation systems, room automation system which is controlled in each room, air conditioning and light, lighting control system, as well as control and analysis of energy consumption. All this makes the buildings, which were built by Tradeunique, safe, comfortable to stay and work, and with the guarantee of absolute safety. Tradeunique hasn`t put an end on its entrepreneurial spirit. On the contrary, there is the realization of several capital projects in the vision of the company, whose construction would set even higher standards not only in hotel industry and construction of residential apartment complexes, but also in construction of distributive and business-commercial buildings. Tradeunique is the owner of attractive land complexes, where all the projects, which could be realized as green field investments, are prepared by the planning documents, as well as already completed preliminary designs. Magnificent Cape Arza, situated at the entrance to the bay of Kotor, one of the most beautiful fjords in Europe, with a fortress bastion, a beautiful cove "Sun gulf" near romantic Island of flowers not far from Tivat, up to interesting locations near Indjija and Belgrade, offer great opportunities. Tradeunique, for its part, offers a helping hand to everyone who would like to be a partner in these projects, which are already designated as capital in strategic documents of governments.